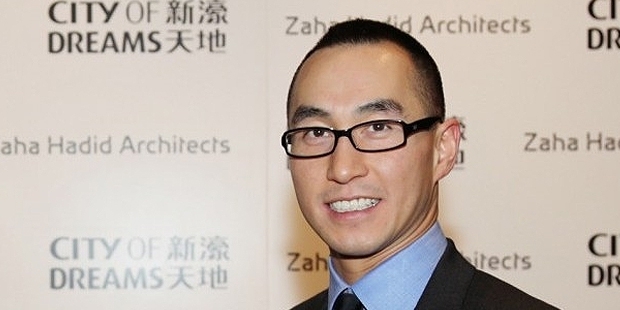 Born in the year 1976, Lawrence Ho is the Chairman and CEO of Melco International. According to Forbes, Lawrence is the 949th richest billionaire in the world and the 31st richest in Hong Kong. This brilliant and enterprising personality made his fortune through the casino industry. His estimated net worth is $1.44 billion. Lawrence was born in Hong Kong. 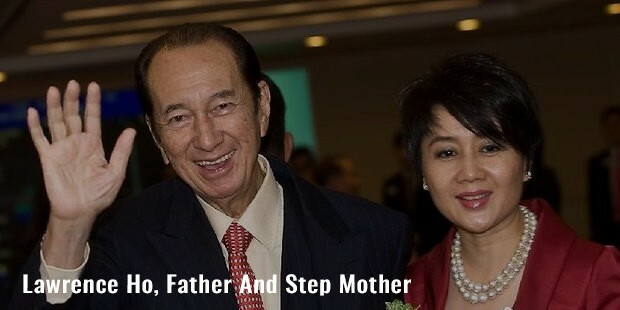 His father Stanley Ho is a Macau and Hong Kong-based businessman. His mother is Lucina Laam King Ying. Lawrence is the eldest child of the family. During his childhood years Lawrence shifted base to Canada and completed his graduation from the University of Toronto. After completing his graduation from the University of Toronto, Lawrence received an Honorary Doctorate in Business Administration in Scotland from the Edinburgh Napier University. Lawrence began his early career in the year 2001 when he took over a loss making company and re-strategized the company’s aims and goals. In the year 2001, Lawrence took over Melco International Development Limited and began his fruitful career. 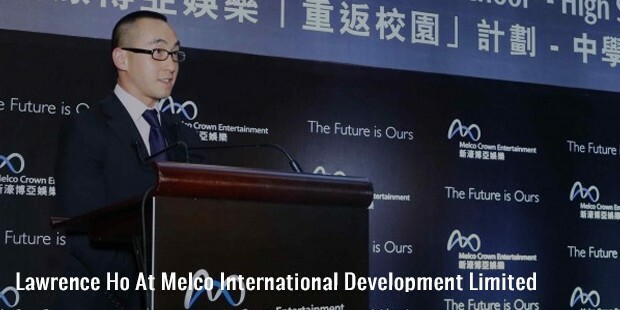 Melco was a loss making company and after the take-over, Lawrence decided to re-strategize the company’s business goal and shift its focus on to the entertainment and leisure industry. Lawrence formed a joint venture with an Australian billionaire, James Packer’s Crown Limited. 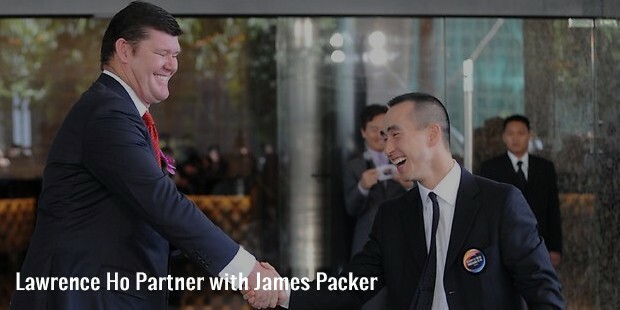 James Packer is one of the 6 people who own concessions and sub concessions to operate gambling units in Macau. This joint venture created the famous Melco Crown Entertainment. Melco Crown Entertainment set up its first casino hotel in Altira Macau (then known as Taipa Macau). This casino hotel gained a Forbes 5 Star Hotel Status. Besides this Lawrence made his billions from his stake in Melco International. Melco International is listed on the Hong Kong Stock Exchange. By the year 2006, Melco Crown Entertainment became publicly listed on NASDAQ as well. 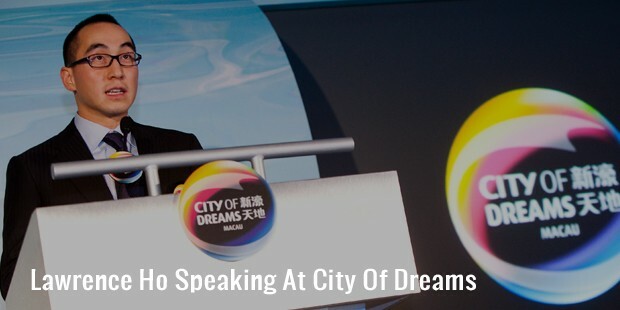 In the year 2009, Lawrence inaugurated Melco’s casino resort, City of Dreams in Macau. Besides all this, Melco has even signed up with the Primorye Territory Government to form the first ever casino resort near Vladivostok, Russia. This casino resort was going to be developed in the Primorye Integrated Entertainment Zone. The resort began operations in September 2014. After graduating from the University of Toronto with a BA degree in commerce, Lawrence also received an Honorary Doctorate in Business Administration from Scotland. Following this he went on to purchase the loss making company Melco International Development Limited. Lawrence got into a joint venture with Australian billionaire James Packer, and Melco Crown Entertainment came into being. Gradually Lawrence made several casino hotels across Hong Kong and his stake in Melco International was the major source of his fortune. Not much is known about Lawrence’s personal life. However we do know that he is married to Sharen Lo Shau Yan, granddaughter of the famous founder and beverage maker Vitasoy. He was born and continues to hold the citizenship of Hong Kong. Lawrence has one child from his marriage.